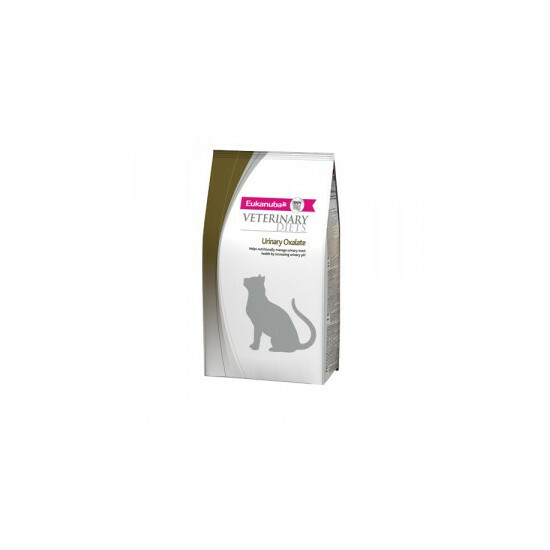 Eukanuba Cat Oxalate Urinary formula is a dietetic complete pet food for cats with a low level of calcium, and is intended to reduce oxalate stone formation. 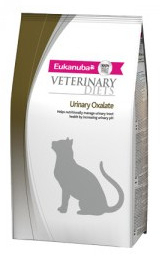 Eukanuba Cat Oxalate Urinary Formula delivers a higher urinary pH and lowers the level of free calcium in the urine. In a more alkaline urine (pH between 6.4 and 6.8), less calcium oxalate will crystallise. If urinary crystals or stones are diagnosed, a change of diet offers the best chance of preventing recurrence. It is recommended that a veterinarian's opinion be sought before and during the use of this product in order to determine the needs of your cat. Maize grits, Dried Chicken and Turkey, animal fat, dried whole egg, dried beet pulp, chicken digest, fish oil, potassium chloride, sodium chloride, brewer’s dried yeast. Chicken, chicken liver, white fish, rice, dried whole egg, chicken byproducts, fish meal, dried beet pulp, calcium carbonate, potassium chloride, fish oil, brewer’s dried yeast. 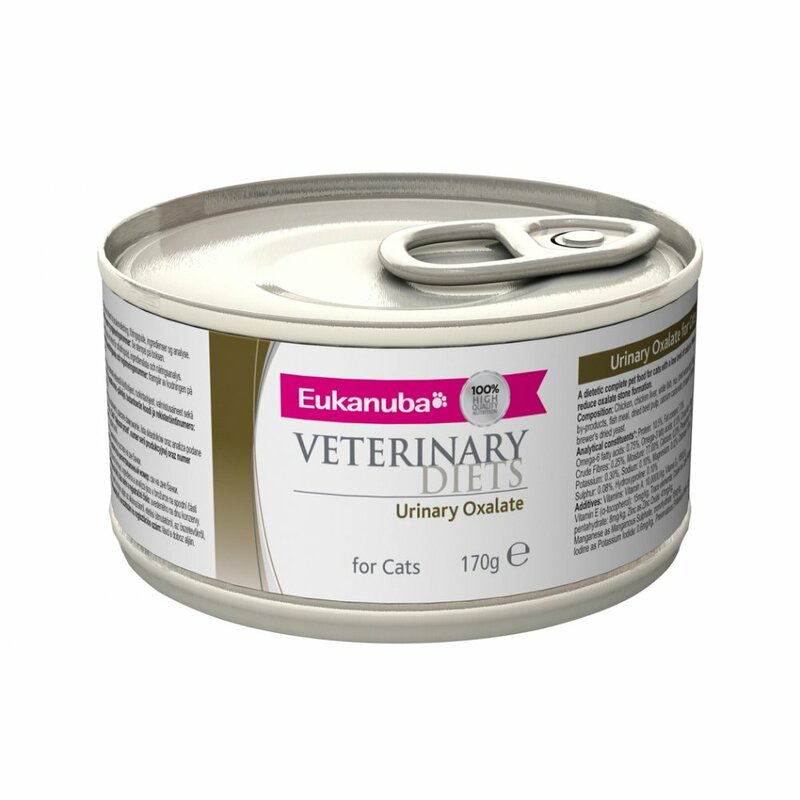 There are currently no questions for Eukanuba Veterinary Diets Urinary Oxalate Cat Food - be the first to ask one!